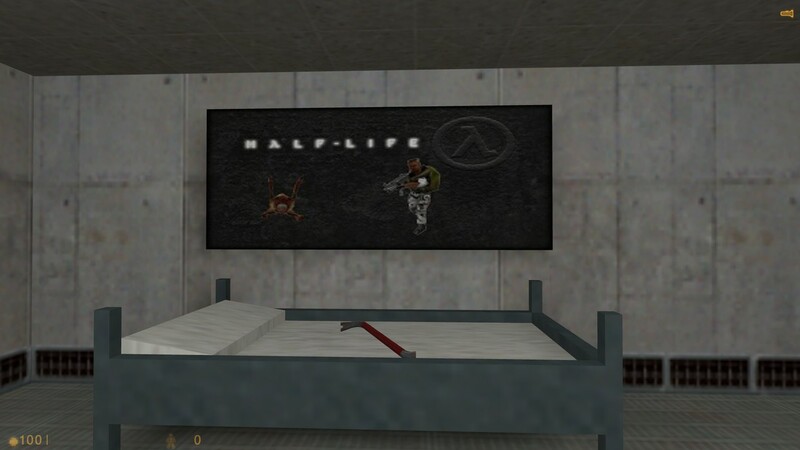 Copy the DuctMap.bsp file into your …\Steam\SteamApps\common\Half-Life\maps\ folder. Open the console and type map DuctMap and now press ENTER. Yep, six minutes is all it took to play this. It took 20 minutes to make this post! Anyway, I haven’t given this an AVOID IT! because it’s really not that bad. It’s just a couple of rooms connected by ducts/vents and you need to work your way through them. Certainly not the worst first map ever. If you don’t like short maps then avoid it, but if you are the kind of person who wants to play everything give it a try. Even if it’s a remarkably short set of little rooms? I giggled at the artwork and was a bit sad to see that I’d reached the end. 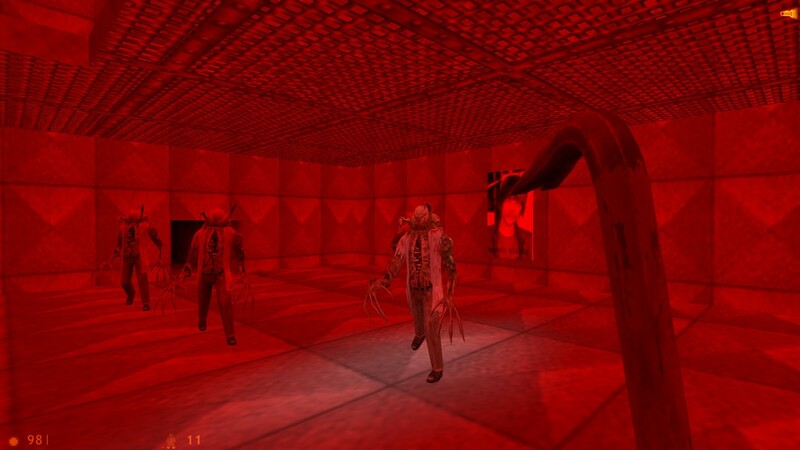 I even had one of those ‘gasp’ moments when almost running out into the middle of that room pictured in shot 11. A little easy, but not a bad map. The closeness of each room to one another made for interesting worries: when exactly would I see the Vorts? Will I have to jump down to get rid of them? All in all, don’t avoid it, but don’t expect much. A small, fun map which isn’t completely flawed but still has its issues. 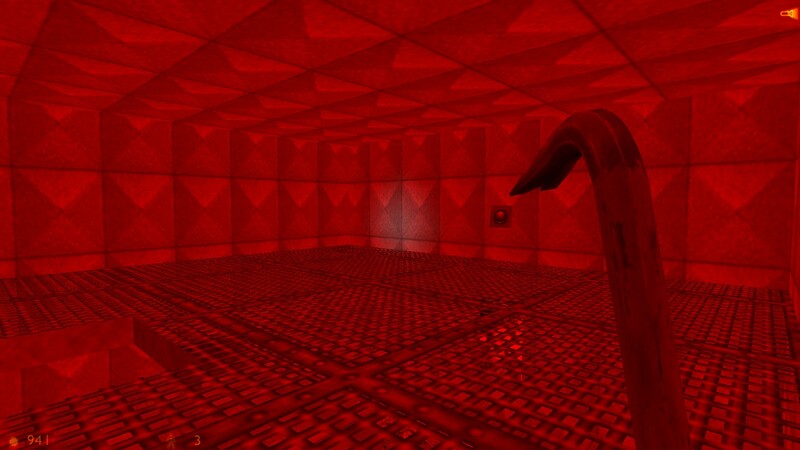 The mapping is nice, but from a map with the title “Duct Map”, you can already say that it’s very claustrophobic. The textures were nice, nothing really special except for those textures included in the .wad file. I didn’t find them very funny, if that’s what they’re supposed to be. 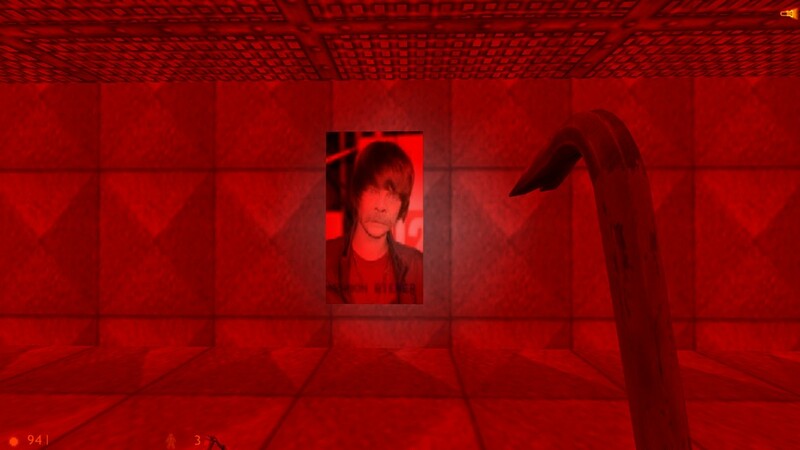 Also, the lighting in some areas is horrible, like the one with that JB picture on it. Overall, this is a fun way to spend 5 mins, but don’t expect more than that. This is terrible and I don’t get the ratings above. 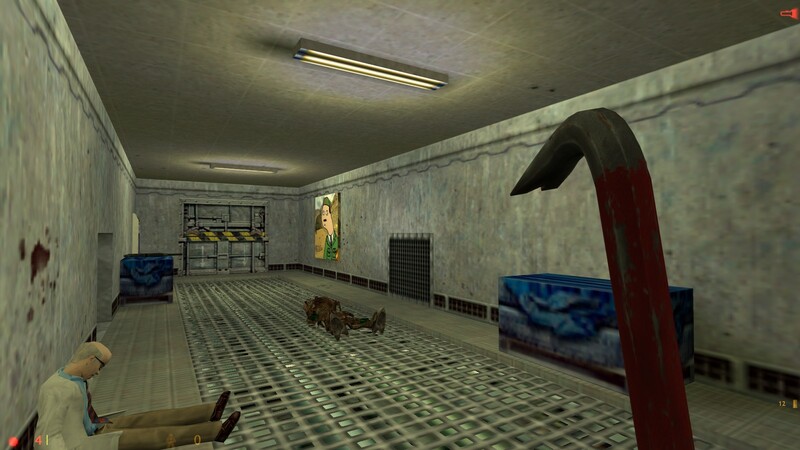 Yes, there is a small variety of rooms to move through, and ducts connecting them all. 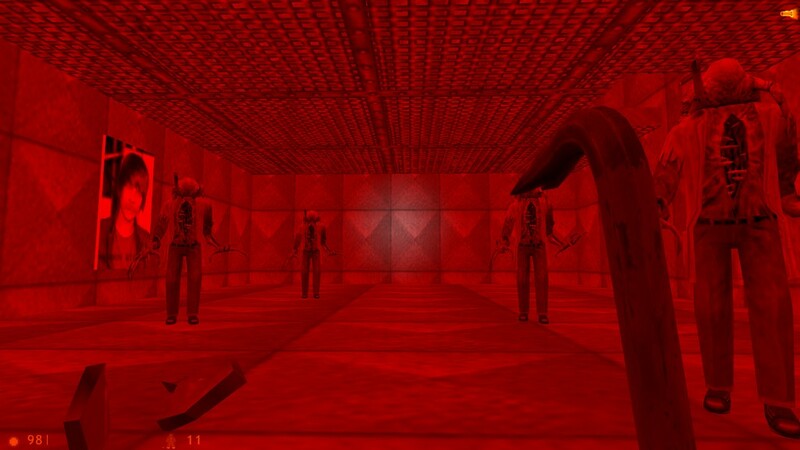 But all of the areas are plain and undetailed, and lit poorly (especially the red zombie room). Beyond that, what sinks this map is the poor combat. 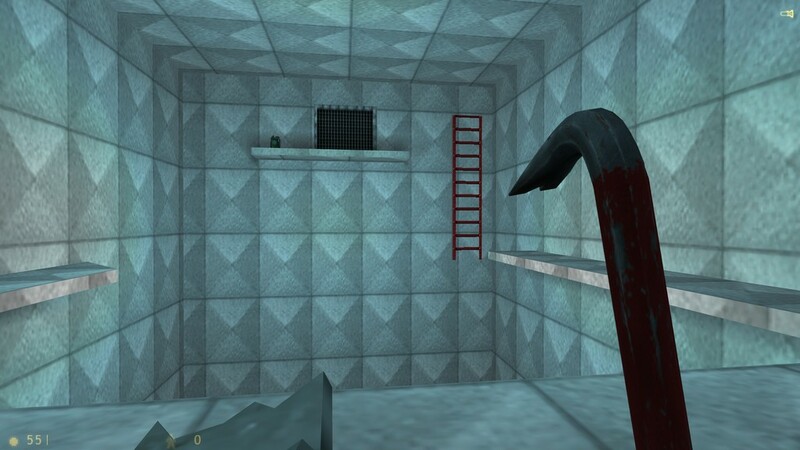 For half the map you only have the crowbar, and then you pick up a shotgun and a handful of shells. 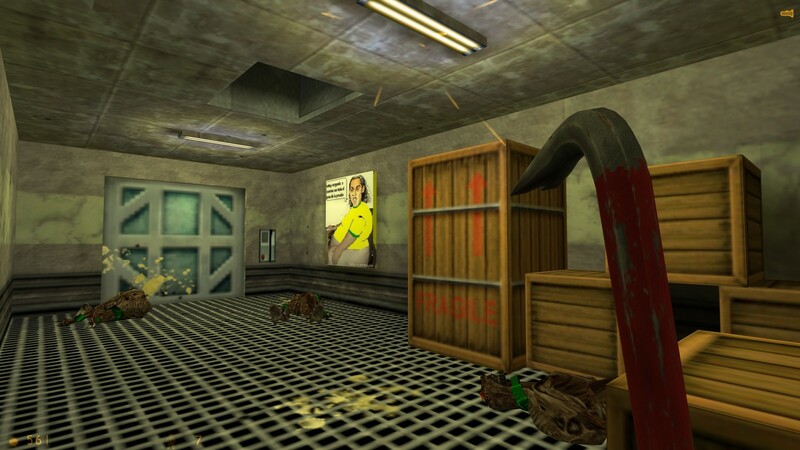 But except the zombie room, you and your enemies hardly have any chance to move around – this both thwarts any cleverness you might have approaching an encounter, and severely limits the AI of the enemies. Yes, it’s not the worst first map in the world but there’s not much value here at all. Terrible map. There is no sens with this. Sometimes design is not that bad, but in 99% of this map it looks hopelessly. I find this interesting. 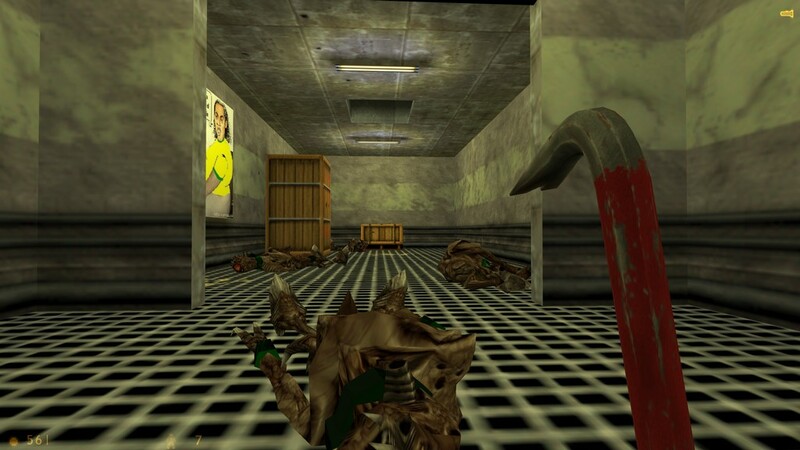 VERY short, ductmap.wad didn’t work for a second, but the map itself was kinda.. interesting.. I don;t know what to say. It’s a simple map. Nothing much to it besides just killing a few enemies. 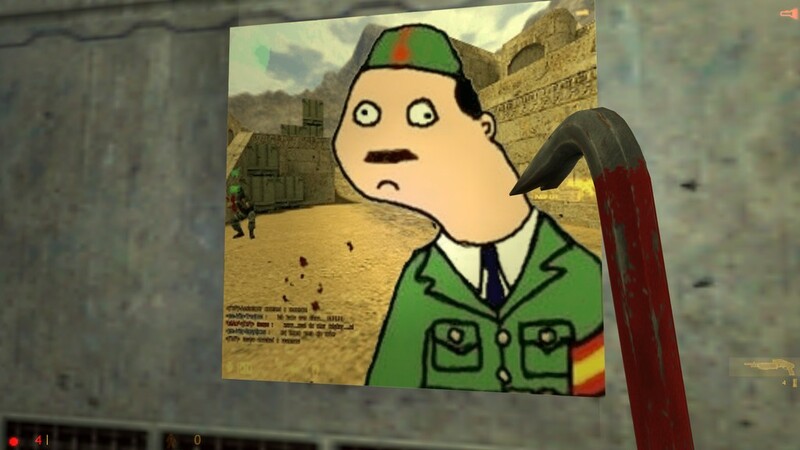 Hi users, im the creator of this map. Hey, at least it’s one of those maps which is funny to play while drunk/half-asleep. Don’t blame yourself too much. I just don’t like it. 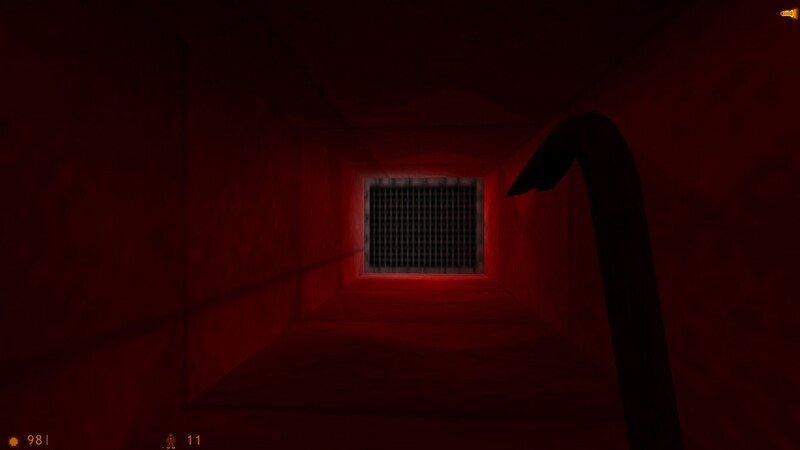 A couple of plain, undetailed, poor rooms with vent textures all over them. 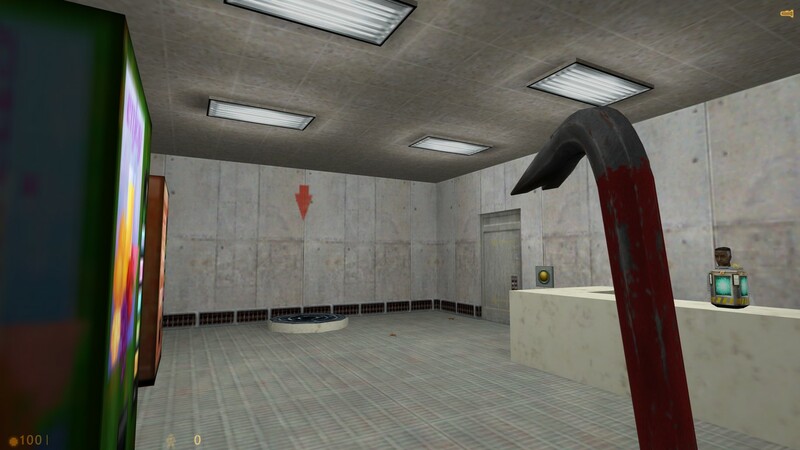 Only crowbar and shotgun. It’s boring and it hasn’t any sense or fun to play. I just… i just don’t get, how you can rate it more than “Think Twice”. Totally not worth it. 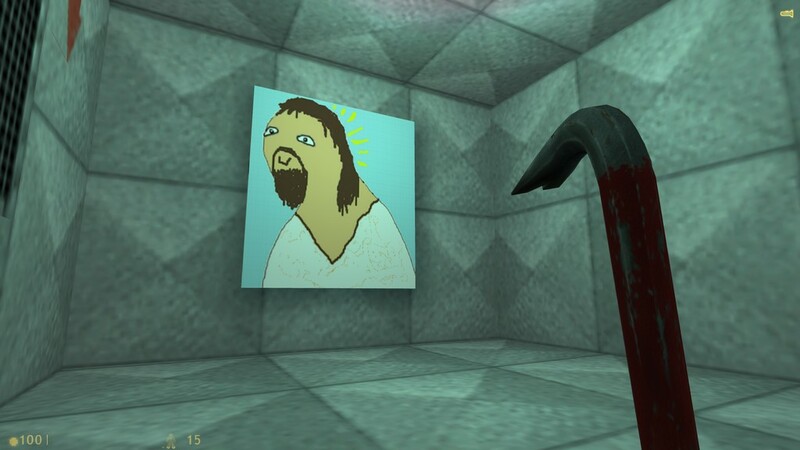 The only reason I gave it 2 points is for the custom textures which demonstrates creativity even though the textures are absolute garbage. Not really worth anyone’s time.